Nissan Skyline Hakosuka C10, Kenmeri C100 - J's Garage Export Co., Ltd. 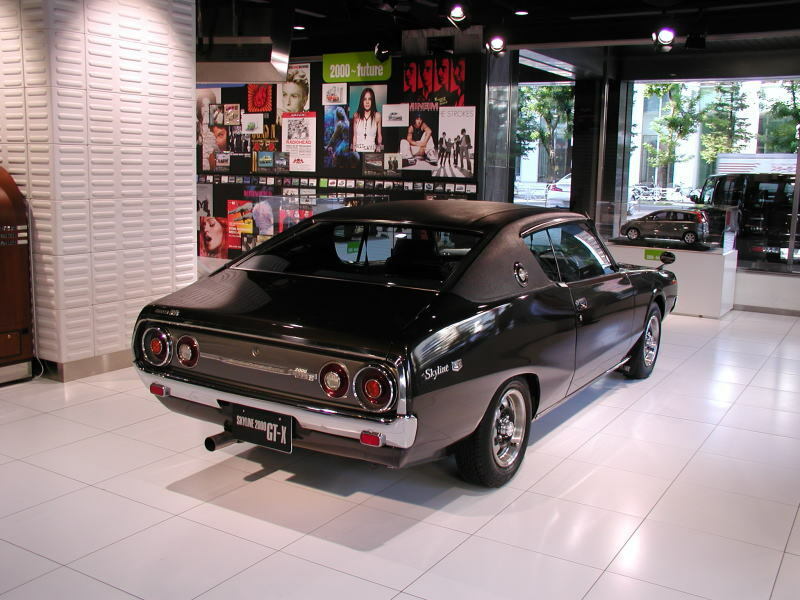 In 1969, Nissan announced the release of the first generation Skyline GT-R with the purpose of winning in the JAF Japan championship. 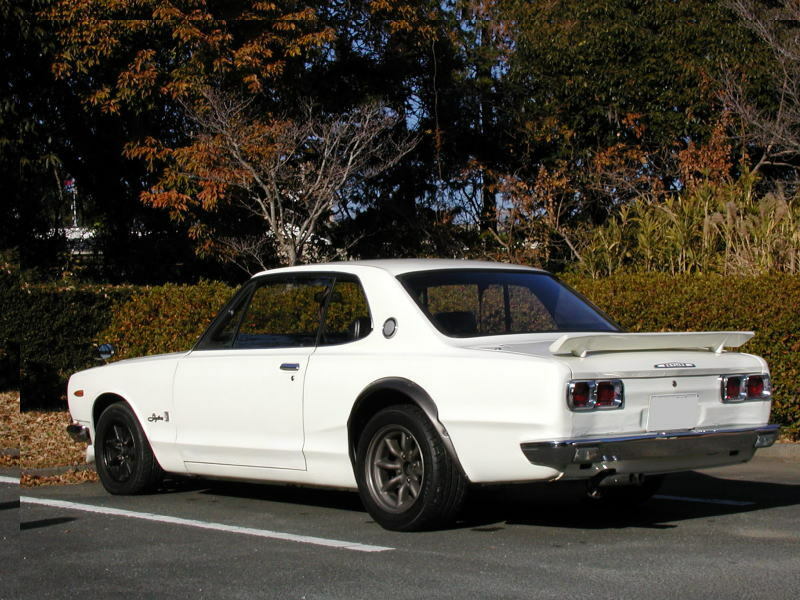 The features of the Skyline GT-R is its engine. 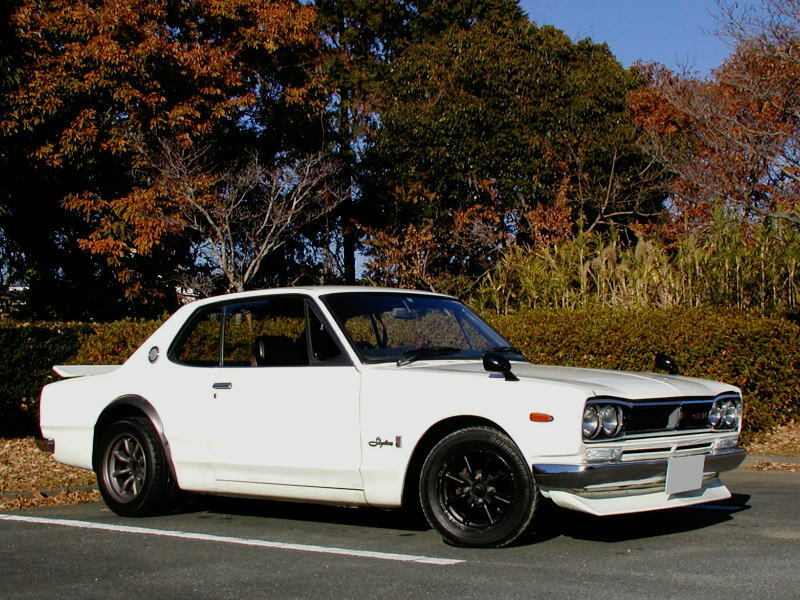 The Skyline GT-R is powered by the S20 L-6 1989cc DOHC 4valve with 40PHH SOLEX carburetor engine that makes 160 horsepower. Major features of the S20 engine include a side-bolts type cylinder block, aluminum pistons, stainless steel exhaust manifold, and full-transistor igniter. Top speed is 200km, and 0-400m is 16.1 seconds. 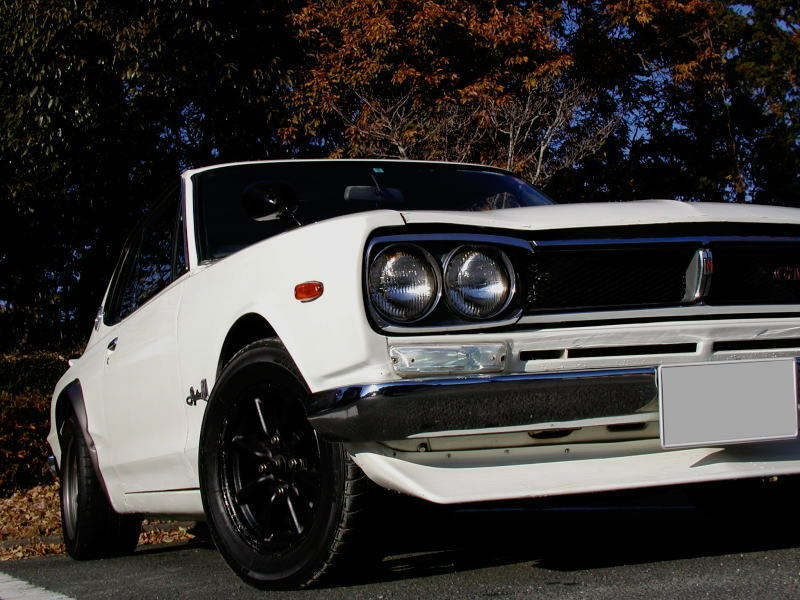 The Skyline GT-R adopts Porsche's 5 speed manual transmission. 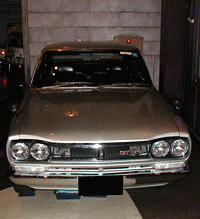 In 1970, the 2-door coupe Skyline GT-R KPGC-10 was introduced. The driving performance has been improved by having shortened the wheel-base and lightweight-ized. The interior of the design unified black was equipped with bucket seats and 6-meters. 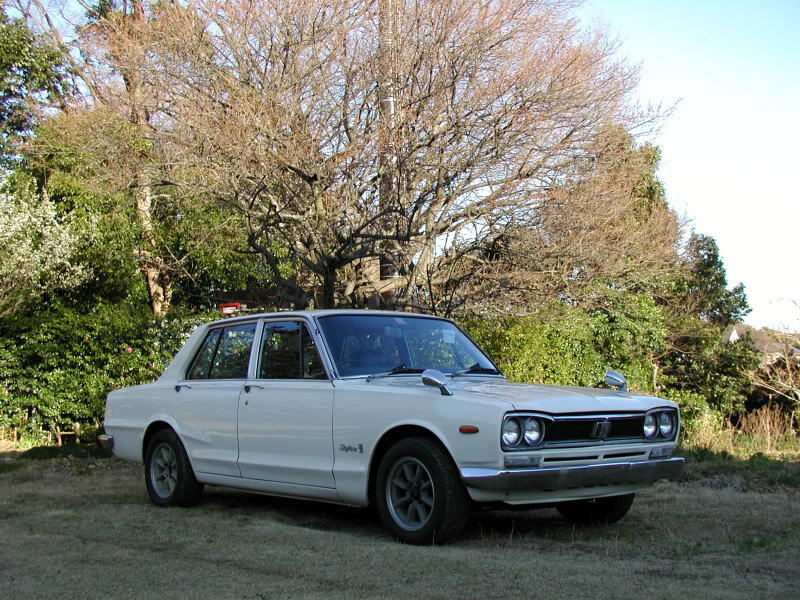 The Skyline GT-R KPGC-110 was introduced in 1973. 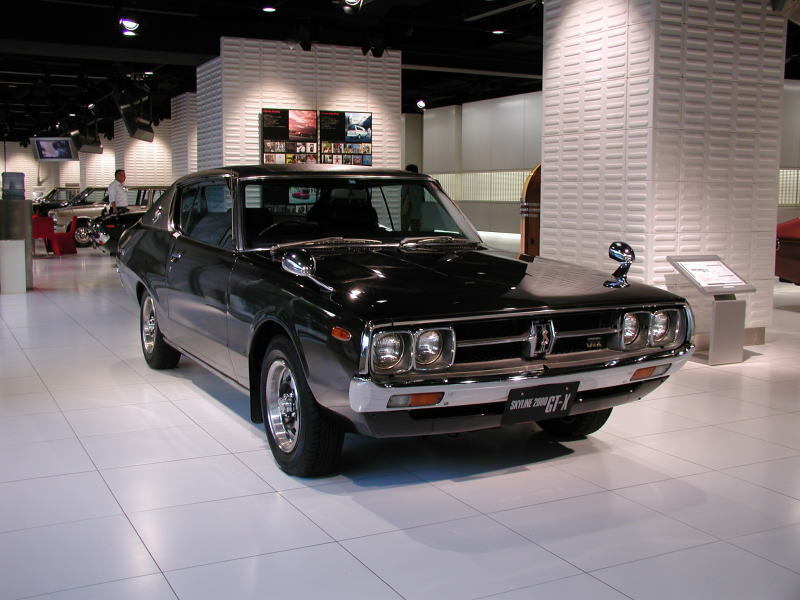 The KPGC110 Skyline GT-R called 'KENMERI' is a Skyline GT-R of the phantom by which only 197 units were produced. 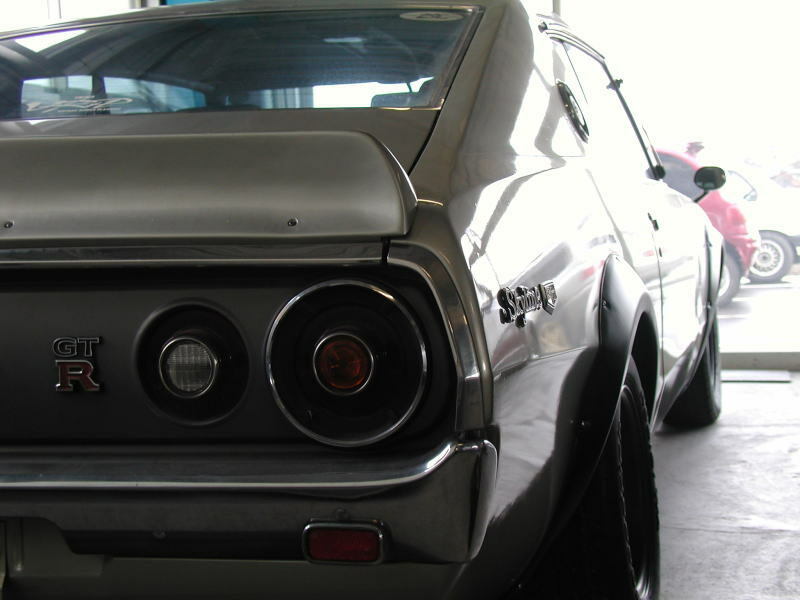 The Skyline GT-R carries on with the S20 24 valve L-6 engine, along with its 160 horsepower. Also the Skyline GT-R is equipped with a exclusive black grill, FRP over fenders, rear spoiler, bucket seats, and 4-wheel disk brakes.